Can A Mattress Save Your Sleep? As much as possible, we’d love to stay in bed all day and do virtually nothing. Unfortunately, that is not realistic or practical especially if you have to earn a living. But if you happen to be a part of the 1% elite, then it may be possible. We try to find ways on how to master the art of sleeping throughout our lifetime. There are times when we think we finally uncovered how to sleep fitfully through the night every single night only to find ourselves staring at the ceiling once more in the wee hours of the morning and unable to sleep once something eventful is happening in our life. Since we constantly find ourselves in this dilemma, we try to find solutions in the form of things or technologies that promise deep sleep and sweet dreams to boot. Well, you don’t have to go far to get some inspiration because the answer can also be found in your bedroom – the mattress. Can new mattresses these days finally uncover the solution to all our sleeping woes or are we just kidding ourselves with these pointless ideas? Let us find out. You will spend approximately one third of your life asleep. As a physical person who loses dead skin cells regularly, that means your bed is extraordinarily susceptible to being the gathering spot for many of the less sanitary aspects of life. It’s calculated that after two years of use, one third of a pillow’s weight is dead skill cells, dead dust mites, and other less-than-desirable leftovers. For a long time, there wasn’t really anything you could do about this except for replacing your pillows before they became dust mite graveyards and maybe using a mattress cover. But now, there’s a mattress startup whose design philosophy is founded upon being the most comfortable and sanitary bedding option for consumers. Which is why PangeaBed integrates copper into their mattresses, a natural antimicrobial material that’s been used to keep things bacteria-free since ancient civilizations. Frankly, it seems unusual it took this long to see something like this in bedding, but it really seems to be the first of its kind. Comfort is one of the parameters when choosing a great mattress. And you shouldn’t really just settle for any other bed considering we spend 1/3 of our lives sleeping. 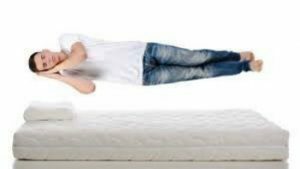 It no longer comes as a surprise that people spend more now on mattresses and pillow than they did in the past because sleep is becoming more of a luxury as everyone often has to juggle double jobs and maintain the delicate balance of work life, social life, and family life in their day-to-day. Simba Sleep has developed an airline seat that allows passengers to experience zero gravity while flying: The seat “closely simulates weightlessness which eases pressure on the back and spine whilst dissolving strain from the extremities,” the manufacturer said. SIMBA Air-Hybrid (as the seat is being called) relies on the same technology that can be found in the company’s everyday mattresses. The seats are built with a “fusion of 2,500 conical pocket springs and responsive memory foam” that is meant to promote promote circulation throughout the body while regulating heat and support. While some of these are just passing trends, some of these newer designs have actually changed the way we think of mattress and have since been the benchmark. Why would you settle for anything less if it is your comfort on the line? Losing sleep not only affects you physically but mentally as well and you wouldn’t want to add more stress to your already stressful life. Life in the urban jungle is no easy feat. You want to make sure you are always on your A-game when out and about your day. So, if a mattress can do the trick for you, why not give it a try rather than be sorry. However, there are certain sleeping conditions that warrant medical attention such as sleep apnea. 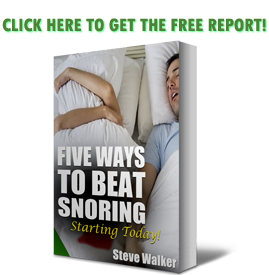 If you are one of the unfortunate few to be diagnosed with this silent killer, https://snoringmouthpiecereview.org/zquiet can help address the breathing pauses in your sleep and even reduce the annoying snoring. For more severe conditions, a CPAP may be prescribed, however, some patients aren’t comfortable using it so a https://snoringmouthpiecereview.org/why-a-cpap-machine-is-probably-not-for-you may be of help just in case. No need to fret because there are other solutions you can try without having to go under the knife.